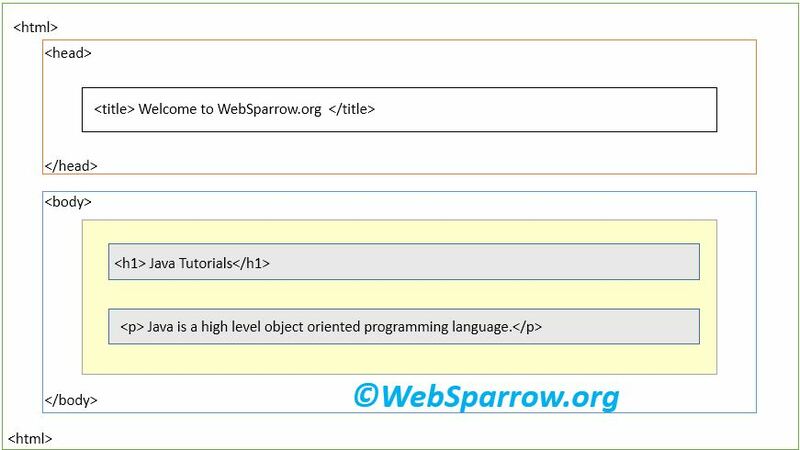 In this tutorial, we are going to introduce about the HTML. HTML stands for Hypertext Markup Language and it is used to describe the structure of web page. Initially, you can call it as CELL. HTML is collections of tags and elements. 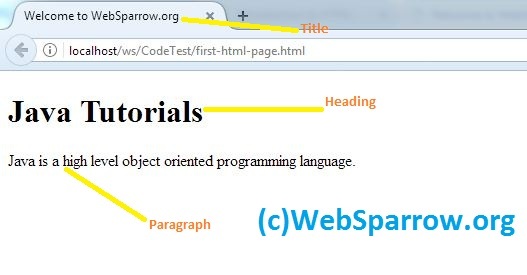 By using tags and elements you can easily create static web pages. HTML tags normally come in pairs. Start tag is called opening tag and the ending tag called closing tag. HTML uses .htm or .html file extension. and Language Attributes may not be used in base,br,frame,freamset,hr,iframe,param or script elements. Note: Only the body section(yellow part) contents visible on browser. A brief information about HTML version and publishing year. In this example I have used the same code/structure shown in above figure.